According to the Merriam-Webster dictionary, ikat is a fabric in which the yarns have been tie-dyed before weaving. In Malay, ikat means tying. Today ikat is one of the most popular weaving techniques used around the world. 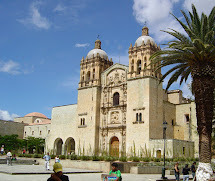 It is also one of the oldest techniques. 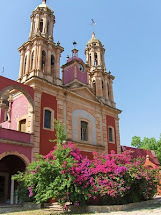 The dye resist technique process I viewed first hand in a weaving village in Mexico is a fascinating and lengthy process. Ikat patterns are popular in clothing and home decorating. 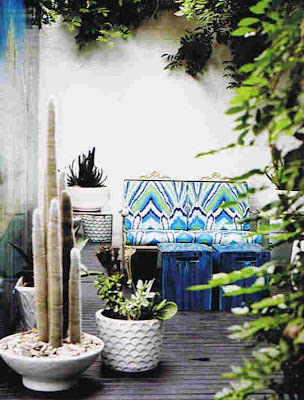 Designer Jules Reid incorporates ikat designs in many of her fabrics. The Mae dress and the Teddy dress are two of my favorites. 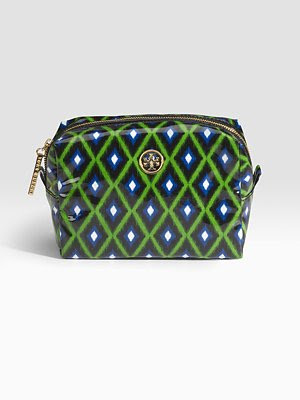 Tory Burch often uses ikat patterns in her tunics, dresses, and accessories. This cosmetic bag is available for pre-order now. 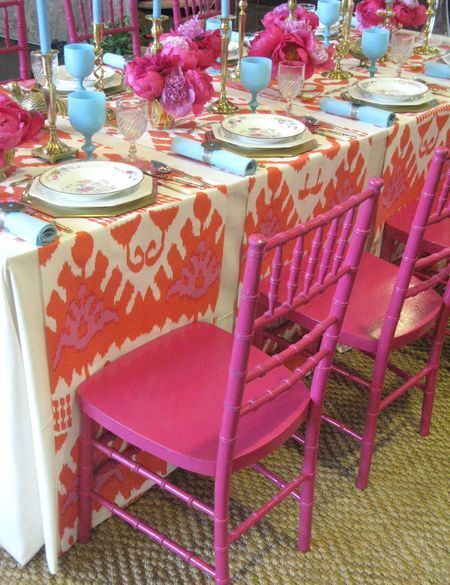 Eddie Ross shows his pure genius with this pink and orange ikat tablescape. Everything about it makes me swoon! 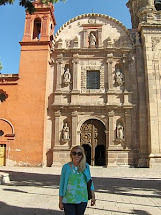 Especially the pop of turquoise! 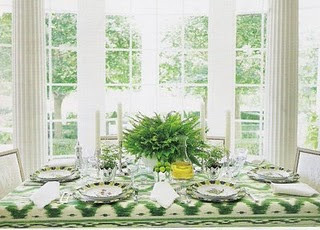 This green ikat tablescape by queen of style Carolyne Roehm seems perfect for a spring tea party or shower. The fern centerpiece is the perfect finishing touch. Trina Turk's indoor/outdoor peacock fabric is an excellent way to incorporate a little ikat in your decor. What do you love in ikat? That top dress is FAB! !